After a few minutes on the coach, we will arrive at the*Jamaica Grand Hotel, where we will be provided with the necessary equipment for a *two-seater kayak**. 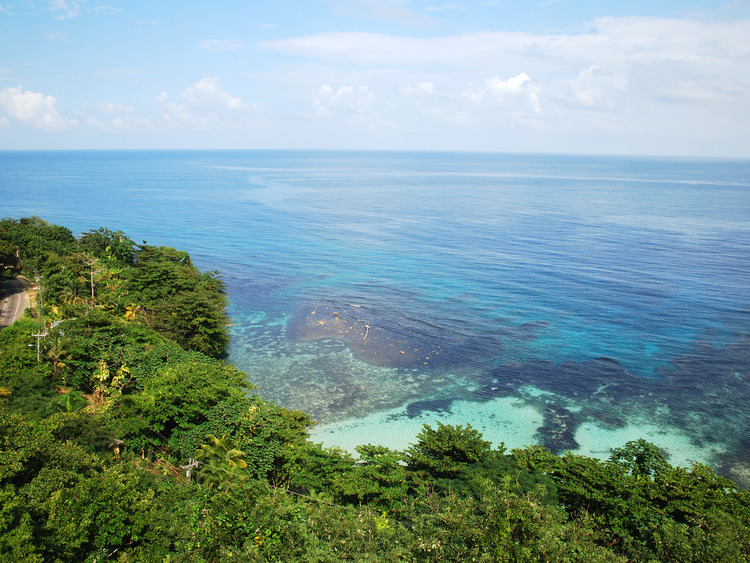 Once we are ready, we will set off with our guide to travel along the world famous Ocho Rios coast. We will have plenty of time to admire the beautiful crystal-clear waters and the spectacular coastal views travelling along the coastline on-board a kayak even passing in front of luxury hotels and villas. But this is not all: leisurely travelling we will see waterfalls and mini waterfalls until we reach a genuine bird sanctuary supported by the Blue Mountains ecostructure. With a little luck, we will be able to admire some migratory birds on the water's edge and a cliff brimming with sealife. We will finally arrive at the world famous Dunn's River Waterfalls,where we will have the opportunity to climb the waterfall and then enjoy the beautiful beach, the famous Dunn's River Beach.